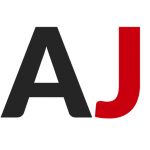 We have mentioned it on the website before, and Cristina Hartmann touched on it in her fantastic blog post, Japan has worked hard to integrate braille into everyday products. From alcohol cans and milk cartons, to train ticket booths and handrails, braille is fairly common. 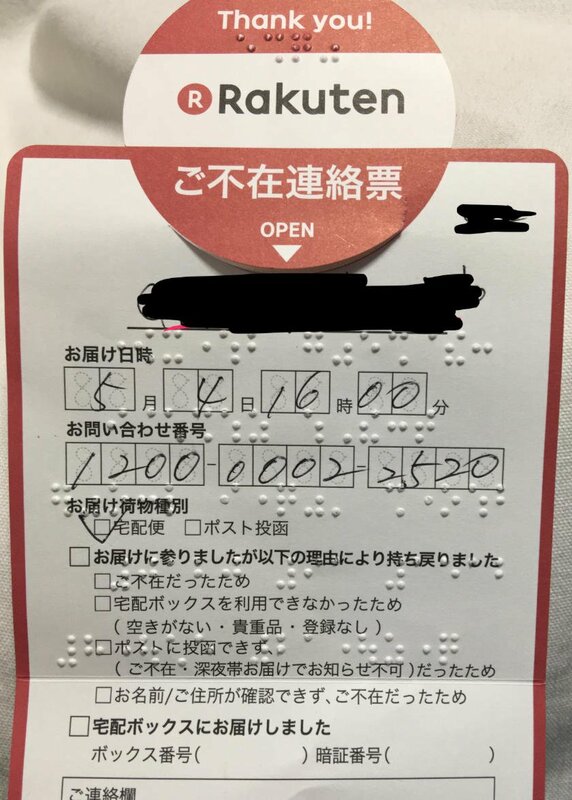 For foreigners, the biggest problem is of course that it is unique Japanese braille that is illegible to foreign braille readers! Japan is also the creator of the tactile blocks found nearly everywhere in Japan, and in countries outside of Japan. 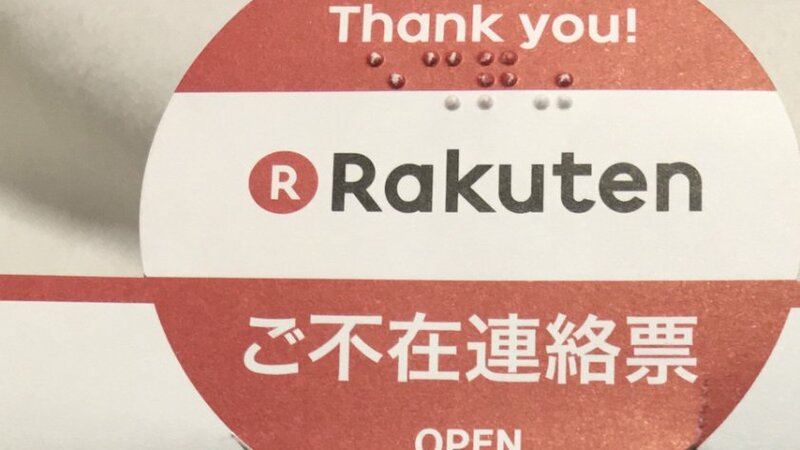 Even still, we at Accessible Japan were thrilled by a parcel delivery notice from Rakuten Books today. 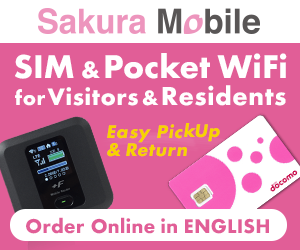 In Japan (as elsewhere), if a person is absent when a parcel arrives, they receive a Delivery Notice stating that a parcel came but the recipient was not home, and instructions on how to order a re-delivery at a more convenient time. However, this delivery service was different. Instead of the typical slip of paper, the notice came on thick card-stock paper so it could be used to simultaneously provide a fairly detailed braille explanation of the notice! 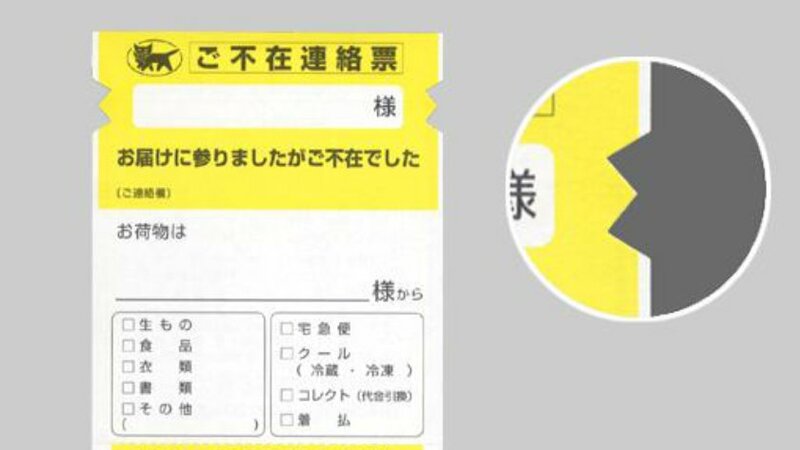 After looking into it a bit more, it turns out that another company, Kuroneko Yamato, also makes adapted delivery notices. While not full braille, the sides of the paper have cuts in them in the shape of cat ears since the company mascot is a cat. Visually impaired recipients can feel the slip and know they have a package waiting if they call the company. We were very impressed by the creativity and inclusiveness so we wanted to share it with everyone!